Lemons are one of those household items that serve a multitude of purposes, especially with anything health related, but they go way beyond that. Besides their refreshing smell and zesty flavor, they can be utilized in many different ways beyond their traditional uses. 1. Freshen Up the Fridge: Remove the odors from the refrigerator easily by dabbing lemon juice on a cotton ball or sponge and leave it in the fridge for several hours. Also, make sure to check the fridge for anything that may be causing the bad smell and get rid of it. 2. Fruit and Vegetable Wash: To naturally remove the pesticides and dirt that may be on the skin of your fruits and vegetables, slice a lemon and squeeze out one tablespoon of lemon juice into your spray bottle, because lemon serves as a natural disinfectant. 3. Keep Your Produce from Turning Colors: When preparing certain vegetables and fruits, they may start changing colors once they are cut, especially evident with avocados, apples, cauliflower, and other white vegetables. To combat that, sprinkle some fresh lemon juice over your produce once they are cut to preserve their freshness and color. Lemon compliments fruits and vegetables, so you’ll enjoy the extra freshness in your dishes. 4. Refresh Cutting Boards: If you use your cutting boards to chop onions and garlic, and prepare meat and fish, they may pick up a smell. To get rid of the smell and help sanitize the cutting board, cut the lemon in half and rub the cut side all over the board. You can also use undiluted juice straight from the bottle. 5. Keep Insects Out of the Kitchen: Using insecticides and pesticides in your home, especially the kitchen, may not be something you want to do at the possibility of exposure to your family, small children, and even pets. So to address any issue with insects, you can squirt some lemon juice on door thresholds, windowsills, and into any holes or cracks where they may be getting in. You can also place small slices of lemon peel around the outdoor enterence. In addition, you can mix the juice of 4 lemons (along with the rinds) with 1/2 gallon (2 liters) of water and wash your floors with it. 6. Deodorize Your Garbage : Toss leftover lemon and orange peels at the base of your trash can under the bag and repeat every couple of weeks to keep it smelling fresh. 7. Clean Tarnished Brass and Polish Chrome: Make a paste of lemon juice and baking soda, coat any tarnished brass, copper, or stainless steel, and leave it on for 5 minutes. Afterwards, gently scrub if necessary, wash the item in warm water, rinse, and polish dry. You will be able to remove mineral deposits even on metal stainless steel sinks. For chrome faucets, refrigerators and other accents, rub lemon rind over the chrome metal, rinse, and dry with soft cloth. You will see the sparkle and shine! 8. Boost Laundry Detergent: Pour 1 cup of lemon juice into the washer during the wash cycle for natural bleaching action, stain removal, and discoloration removal on T-shirts and underwear. The clothes will be brighter and smelling fresh. For your delicates, soak them in a mixture of lemon juice and baking sod for a minimum of 30 minutes before washing to remove stains without the use of harsh chlorine bleach. 9. Rid Clothes of Mildew: For mildew stained clothes, make a paste of lemon juice and salt, rub it on an affected area, and leave them in the sunlight to dry. You can repeat the process until the stain is gone. 10. Replace Your Dry Cleaner: To remove the yellow stains in the armpits, combine equal parts lemon juice and water and gently scrub them on the stained area, which will allow you to avoid harsh chemicals and expensive bills at the dry cleaners. Have you tried any of these?! Share and let us know what you think! Feel free to share other suggestions in the comments below! We’re into Week 2 of homemade natural personal care products! And today I’m sharing the recipe for a lip balm that can easily double as a cream blush. I have recently decreased my make-up collection to a very select few things, mostly motivated by the ingredients in the products themselves. They are the “who’s who” chemical storm of what NOT to put on your body, especially face. Remember to check out The Skin Deep Cosmetics Database, a division of EWG (The Environmental Working Group), who maintain an ever-changing compilation of ingredients and products that are safe for you and your family in terms of makeup, skincare, and other personal care items. Melt the coconut oil and honey by placing a 4 oz. jar in a pot filled with about an inch of water and heating it on LOW heat, while continually stirring it. Then stir in chips or pellets of beeswax. Once all 3 ingredients are fully melted together, take off the stove and add the beet root powder. You may need more than 1 teaspoon of beet root powder depending on how deep you want to make the color. I kept adding a bit more and testing it against my lips. The mixture may appear very dark, but it does not transfer as dark on the skin. I left the finished mixture in the 4 oz. jar, but you can transfer it to other lip balm containers as a more portable option. Blend or juice fresh beets and/or berries (strawberries, raspberries, cherries, pomegranate, etc.) and add it to the oil mixture. You can also dehydrate the beets and/or berries and turn it into a homemade powder, as opposed to purchasing it. You can even add a bit of espresso for a darker hue. 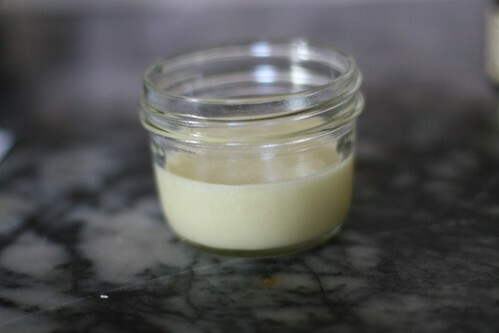 Use raw shea butter instead of beeswax for a creamier consistency. Use some mica powder for a little shimmer. The final result was a reddish-pinkish hydrating balm that keeps lips moisturized for hours. Have you tried this or another version? Please share your recipes, suggestions, or any requests! 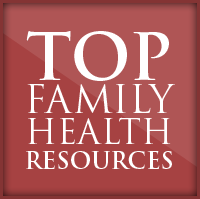 Being in the oral health aisle at the health food store can be a bit overwhelming as you are trying to figure out the best choice for yourself and your family. With or without fluoride? What about chemical additives, sugar, and MSG? Definitely the one without the alcohol! Do you want the one for whitening, refreshing, or any other typical dental health tag line?! Plus add the price tag of $8-10 per bottle! You have your hands full; I know I do! So how about a natural alternative using water with a few essential oils?! If you follow my blog, you know I use Young Living Essential Oils in my home and my holistic chiropractic practice. While Young Living catalog has The Thieves Mouthwash, you can also try this recipe! and mix to combine well. You can leave the premixed combination by your sink and shaking it before each use. You can adjust the taste of the mouthwash to your liking with either more oils or more water. You can also prepare it each time before you swish with 1 drop of each oil in 6 oz. of water. As both a holistic family chiropractor and an individual seeking to maintain a healthy lifestyle from inside and out, I have been continually working on reducing the amount of toxins, to which I am exposed at home, in the office, and in my general environment. I am also a stickler for reading labels, which has become an essential part of every trip to the store, both educational and concerning. 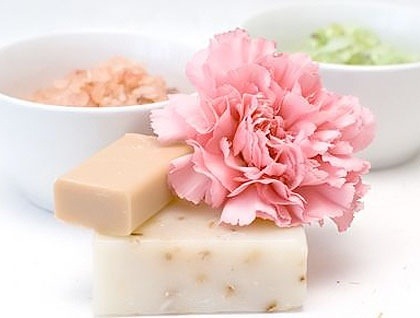 Even if you are already choosing organic, paraben-free, sulfate-free, phosphate-free, and whatever-else-free “natural” skincare products, you may still be using a chemical-laden combination of personal care products. The Skin Deep Cosmetics Database, a division of EWG (The Environmental Working Group) maintain an ever-changing compilation of ingredients and products that are safe for you and your family in terms of makeup, skincare, and other personal care items. Besides that, there is also the cost component to it as well. If you have ever done a price check on organic “semi-natural” cosmetics, it may be a bit disheartening. I agree that there are products worthy of their elevated price tag and I participate in purchasing such. I also appreciate being in control of what goes on (and ultimately in) my body in terms of chemicals and toxins, so a little investment in ingredient purchasing (which goes much further than you’d think!) and a little time in the kitchen are make me feel good about where and how I am spending my money. So with some inspiration from my friend Dr. Robin and Pinterest, I rolled up my sleeves and got in the kitchen to make some skincare products, good and safe enough to eat. Over the next few weeks, I will continue to post recipes of things I have made with only a few ingredients that are easy to come by at a local health food store. Take the journey with me as we play in the kitchen to honor our bodies from the inside out, both in what we are eating as well as what we are putting on our bodies! I would love and am encouraging you to post own recipes, suggestions, and requests for what you are interesting in seeing! The next DIY series will be on natural hair care products. Keep me posted on recipes, suggestions, and requests! Essential oils, known as nature’s living energy, are the natural, aromatic volatile liquids found in shrubs, flowers, trees, roots, bushes, and seeds. The distinctive components in essential oils defend plants against insects, environmental conditions, and disease. They are also vital for a plant to grow, live, evolve, and adapt to its surroundings. Essential oils are extracted from aromatic plant sources via steam distillation, and are highly concentrated and far more potent than dry herbs. with a complimentary wine tasting after presentation! RSVP to drtijana.dc@gmail.com or (706)254-4579. Protecting your health and safe-guarding your environment needs to start in the products and furnishings you use. There is a long list of products you come in contact with during the day inside of your home, such as personal care products (shampoos, soaps, cosmetics, etc. ), cleaners, carpeting, furniture, cabinetry, and many more. Therefore, the chemicals and toxins that are in those products end up on and in you through skin contact and inhalation. Choose safer products without toxins by looking for bio-based, chlorine-free, organic, phosphate-free, BPA-free, paraben-free, phthalate-free, natural fragrance, and/or biodegradable alternatives. In shampoos, commercial moisturizers, shaving gels, cleansing gels, personal lubricants, topical pharmaceuticals and toothpaste. Also, used as food additives. Disrupt the endocrine system; studies show reduced sperm counts, testicular atrophy and structural abnormalities in the reproductive systems of male test animals, and links to liver cancer. Also, water and air pollutants. In toys, food packaging, hoses, raincoats, shower curtains, vinyl flooring, wall coverings, lubricants, adhesives, detergents, nail polish, hair spray and shampoo. An antimicrobial formaldehyde releaser preservative. May create a contact allergy. Made from petrochemicals, which give off volatile organic compounds (VOCs). Produce allergic reactions: eye, nose and throat irritation; headaches; dizziness; nausea; rash; and damage to the liver, kidneys, and central nervous system. In antibacterial soaps and body washes, toothpastes, and some cosmetics. Also in clothing, kitchenware, furniture, and toys. Foaming agents in soaps, shampoos, detergents, toothpastes and other products. Can cause mild to severe irritation to skin and scalp; skin corrosion; swelling of the hands, face and arms; and split, fuzzy hair. In cutting oils, soaps, shampoos, cleaners, polishers, cosmetics, and pharmaceuticals. Can cause skin irritation; irritation to nose and throat; skin burns; and possible impaired vision. Can cause toxicity to skin, the immune and respiratory system . In cosmetic and personal care products, such as eyeliners, mascara, eye shadows, blushers, make-up bases and foundations, as well as in fragrances, hair care products, hair dyes, wave sets, shaving products, sunscreens, and skin care and skin cleansing products. Known as a preservative in medical laboratories, as an embalming fluid, and as a sterilizer; used in the production of resins and as a chemical intermediate; used in foam insulations, as adhesives in the production of particle board and plywood, and in the treating of textiles. Can cause respiratory difficulty, eczema, and sensitization, and has been identifies as an carcinogen. Used in industrial manufacturing and medicine; in surfactants, in foods, in cosmetics, in pharmaceutics, in biomedicine, as dispersing agents, as solvents, in ointments, in suppository bases, as tablet excipients, and as laxatives. Moderately bioaccumulative, and extremely toxic to aquatic environment. Used in industrial applications and consumer products. Also have been detected in human breast milk, blood, and urine and have been associated with reproductive and developmental effects in fish. Used in manufacturing of synthetic fibers, plastics, explosives, and cleaning products. Cause an immediate hazard to the lungs and skin. A pesticide, a disinfectant or an antimicorbial pesticide, and a fungicide. Used in household cleaners, drinking water and swimming pool water. Can cause respiratory risk from VOCs exposure. Used in chlorides, fertilizers, and dyes, in electroplating, and in the photographic, textile, and rubber industries. Can be corrosive to the eyes, skin, and mucous membranes. Used in manufacturing of pulp and paper, textiles, drinking water, soaps and detergents, as a drain cleaner, and as food additives. Can cause chemical skin burns and may induce blindness if contacts eyes. Make your own cleaners and skin care products. Cleaners: Use a solution of apple cider vinegar, combined with water. Skin care: Olive, almond, or coconut oils for moisturizers; baking soda for a simple toothpaste. Go old-fashioned with gentle castile soap and water. Castile soap is as effective as antibacterial soaps, which increases the chance for development of resistant bacteria. Look for the fewest ingredients and for certified organic ingredients. Especially necessary for any product that you will put in or on your body. Choose products made with and stored in natural materials. Look for glass, bamboo, textiles, solid wood, and stainless steel. Avoid plastic storage. Consider exposure to off-gassing from volatile organic compounds (VOCs) that pollute indoor air. 1. Lavender: Lavender oil has this yummy, fresh floral scent with a dash of sweetness and herby aroma. It smells amazing, as it is also the most versatile of all essential oils. Therapeutically, lavender oil has a calming effect for those suffering from anxiety. Medicinally, it can be used as an antiseptic and pain reliever to soothe minor burns, insect bites and stings, and muscle or joint pain. For a little pick-me-up, even one breath will make you feel blissful. The Essential Oils work as a great compliment to help enhance a healthy lifestyle! healthy.BEing family wellness is now offering Young Living Essential Oils in the office as an independent distributor with a complete line of therapeutic grade essential oils for every day use, from aromatherapy, massage therapy, emotional health, personal care, nutritional supplements, household solutions, and much more. When you locate products you’re interested in, create online account by adding Sponsor ID/Enrollee #1420680, or clicking the “Become a Customer” link above. Lemons are a popular fruit in anything health related. It serves as a zesty flavor for food and drinks, refreshing scent in just about any household and personal item imaginable, sore throat remedy, and so much more. 1. High Blood Pressure: Lemons are loaded with potassium, which helps regulate elevated blood pressure and manage nausea and dizziness. 2. Mental Health: Lemon can help improve the mood, depression, and stress, as it is refreshing and helps elevate fatigue symptoms, which are common with depressive mood. Also, works with great long-distance athletes. 3. Respiratory Problems: Lemons help decrease the accumulation of phlegm, allowing for clearing of breathing passages. Also, aids in persons who suffer from asthma. 4. Arthritic Complaints: Because lemons are a natural diuretic, they increase the production of urine, which helps in removing the toxins from the body and reducing inflammation, which will result in an increase in pain relief as well as reduction in symptoms. 5. Kidney Stones: If you mix lemon juice with water and drink it regularly, it will decrease the formation of crystals, which are responsible for kidney stone formation. 6. Skin Properties: Lemons aid in the reduction of free radicals in the body as they are considered an antioxidant, which helps reduce signs of aging and skin damage. Applying lemon juice directly to liver spots or freckles for 15 minutes before washing it off will safely lighten and leave the skin clean. Lemon juice also works great directly on zits and is an effective natural cleanser and exfoliation. 7. Oral Health: Diluted lemon water is a powerful antiseptic that is safe and non-irritating. It can be used in dental hygiene as a mouth wash for bleeding gums, toothaches, and killing bacteria that causes bad breath. Be cautious to only rinse for a few minutes because long-term exposure to the acid in lemons can damage tooth enamel. 8. Antibacterial Properties: Lemon water can used to fight a variety of infections, such as gargling in case of a throat infection as it reduces phlegm; yeast and vaginal infections as they alter the pH in the body that citric acid can help restore; and on the skin to stop bleeding and disinfect minor cuts and scrapes. 9. Fever: Water with lemon, and even Lemon Essential Oil, can serve as a cooling agent during fever and chills, as well as during hot weather. It also soothes itching and alleviates rashes; in case of hives, read more HERE! 10. Digestive Problems: Lemon juice in warm water is a great way to soothe an achy digestive tract from indigestion, constipation, and problems with elimination, by removing toxins from the body through blood and kidneys and aiding in the digestive process. It is important to examine the source of your lemon. If you are going to use the external part of the lemon, like putting it in your water, using the rind or the peel, try to buy an organic lemon to avoid harmful pesticides.